The tables wobble, you eat in the street, there’s never enough room and we wouldn’t change it for the world! Rebe and Ursula have nurtured this little corner of Provence in Dalt Vila since 1985, and the romantic nightly buzz that surrounds diners is an unforgettable part of the Old Town experience. Their Menu offers Mediterranean, contemporary, European, and Spanish dishes. 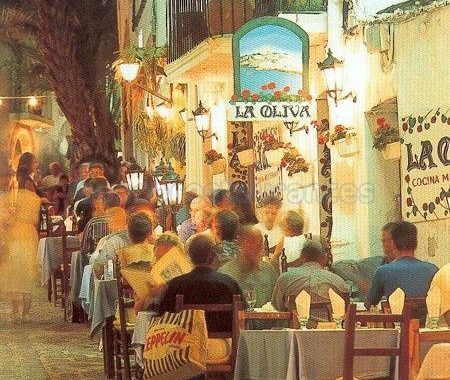 An Ibiza classic. Looking for your Holiday Rental Villa? If you don’t find what you want during your visit, please e-mail Julia@Ibizavillasdirect.com – we have lots of licensed properties that may not appear on the site, but correspond perfectly to your holiday wishes. article quoted from Pacha Mag.